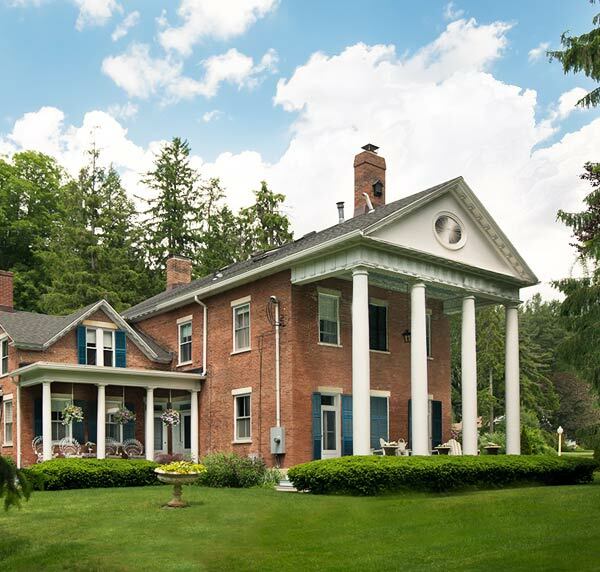 Federal House inn is conveniently located, yet secluded enough to feel away from it all. On this page we have Berkshires driving directions to the Federal House Inn, along with notes about using GPS and an interactive location map, courtesy of Google Maps. Take the Massachusetts Turnpike (90) west to Exit #2 (Lee). Turn left at the bottom of the exit ramp and take a quick right onto Route 102 West. Drive 3 miles and the Federal House Inn is on your right. Take the Taconic Parkway north to I-90 East. This becomes the Massachusetts Turnpike. Take exit #2 (Lee). Turn left at the bottom of the exit ramp and take a quick right onto Route 102 West. Drive 3 miles and the Federal House Inn is on your right. Take the New York State Thruway (1-87) north to I-90 East. This becomes the Massachusetts Turnpike. Take exit #2 (Lee). Turn left at the bottom of the exit ramp and take a quick right onto Route 102 West. Drive 3 miles and the Federal House Inn is on your right. Some of our guests are unable to locate our inn in the Berkshires with their GPS. If you have difficulty we suggest you enter “Stockbridge town center” …. we are one mile east of Stockbridge on Rte 102 (Rte 102 is Main Street in Stockbridge). Please feel free to phone us for assistance.